The Centre of Quaternary Science and Geoarchaeology (QSGA) coordinates and combines research projects, research groups and laboratories of the Geoscientific and Archaeological Institutes of the Universities of Cologne, Bonn and Aachen. It coordinates academic teaching in the M.Sc. study course “Quaternary Research and Geoarchaeology”, which is offered in Cologne in cooperation with the Universities of Bonn and Aachen. Zum zwölften Mal richtet das Zentrum für Quartärforschung und Geoarchäologie (QSGA) das jährliche Kolloquium zu Ehren von Martin Schwarzbach aus. Dieses Jahr stehen erneut aktuelle Forschungsthemen des QSGA im Fokus. Dabei geht es um interkontinentale Ausbreitungswege und Paleoklima in der Levante. Wir freuen uns, Thomas Litt (Universität Bonn) und Michael Petraglia (Max-Planck Institut für Menschheitsgeschichte) als Vortragende begrüßen zu dürfen. "The Southern Levant: Corridor or Barrier During the Dispersal of Modern Humans"
"Palaeoenvironmental Change and Human Occupation History at the Cross-roads of Continents"
The QSGA Centre is pleased to announce Prof. Dr. AlNahar as guest professor in Cologne for one year. Prof. Dr. Maysoon AlNahar is Full Professor at the Department of Archaeology at the University of Jordan. Prof. Dr. AlNahar is the specialised for the Jordanian Palaeolithic with a particular focus on the Upper-Epipalaeolithic and Neolithic that are among the most exciting periods in Middle Eastern Archaeology due to important cultural, social and economic transformations such as the Neolithic Revolution that paved the way for the first ‘civilisations’ in the Middle East. In 1995 Prof. Dr. AlNahar was awarded two full scholarships; the Fulbright and the University of Jordan scholarships that allowed her to conduct her PhD studies in the United States at the Arizona State University (ASU) from where she obtained her PhD in Anthropology in the year 2000. Her doctoral thesis title is ‘’The Upper and Epipaleolithic Transition in the Southern Levant: Microlith Typology versus Technology”; it dealt with the economic underpinnings of lithic variability in the Jordanian Epipalaeolithic highlighting reasons for diversity in material culture. 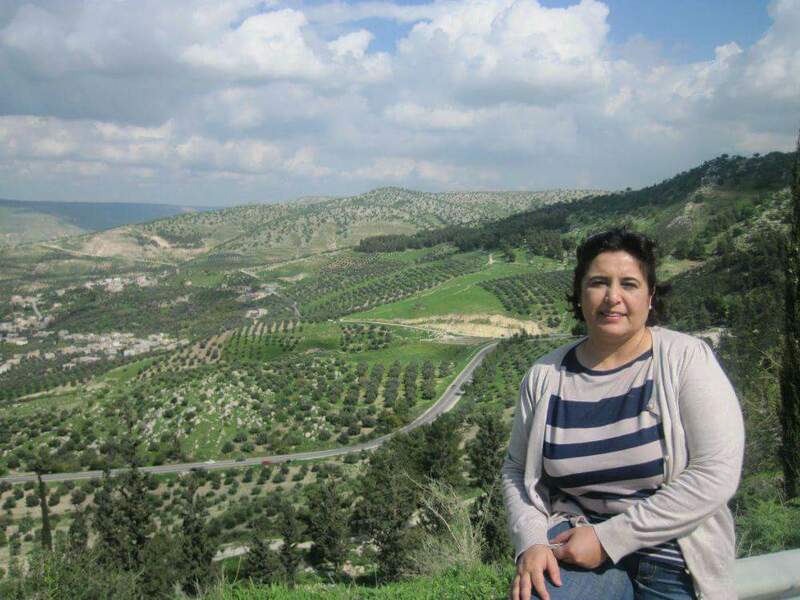 Between 2000 and 2016 Prof. Dr. AlNahar was first appointed as an Assistant Professor at the Department of Archaeology of University of Jordan and was then promoted to Associate Professor in 2009. She became Full Professor in the 2016. She also held the position of the Director of the Archaeological Museum and Heritage Museum at the University of Jordan in 2005-2010. She was the chair of the Department of Archaeology two times in 2005-2007 and again in 2009-2010, she held the position of Dean of the Faculty of Archaeology and Tourism four years between 2013 and 2017. Prof. Dr. AlNahar has been working and continues to do in several field projects across Jordan like the prominent Neolithic site Tell Abu Suwwan. Since 2008 she is a research partner in the Collaborative Research Centre “CRC 806 – Our way to Europe” working closely with the RWTH Aachen and the Universities of Bonn and Cologne in the Wadi Sabra project, Greater Petra Region. Currently, Prof. Dr. AlNahar is on a sabbatical leave studying Epipalaeolithic and Neolithic collections from the Yabrud rock shelter in Syria and form the Wadi Sabra project at the Institute of Pre-Protohistoric Archaeology at the University of Cologne. Starting this winterterm 2017 Elena Hensel will replace former Mentor Felix Henselowsky. We like to announce new Student mentor Elena Hensel. She will replace the former Student mentor Felix Henselowsky. Elena is a former QSGA-student and now starting her PhD in the CRC 806. We thank Felix Henselowsky for his time and dedication. We wish him all the best for his change to another university! Two new guest lectures scheduled. Alan Deino's lecture about 40Ar/39Ar dating of Plio-Pleistocene Drill Cores from East Africa is scheduled for the 14th of June. More information you can find here. Authigenic silicates and Quaternary paleolimnology: Examples from Olduvai Gorge, Tanzania, and the Kenya Rift lecture will be happening on the 30th of June. More information you can find here. Wir freuen uns, Thomas Litt (Universität Bonn), Gerd-Christian Weniger (Neanderthal Museum, Mettmann) sowie Michael Staubwasser, Olaf Bubenzer, Karin Kindermannund Jürgen Richter (Universität zu Köln) als Vortragende begrüßen zu dürfen. Die Ostwüste Ägyptens: Station des modernen Menschen auf dem Weg nach Europa?